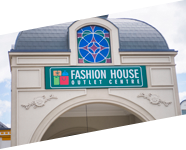 Next year, in Autumn, 24 new brands will join the offer of FAHSHION HOUSE Outlet Centre in Moscow. They will all be opened in the II phase of the project, adding 4,500 of GLA to the centre. 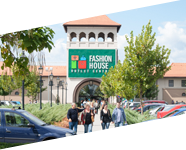 After completion of the second phase, FASHION HOUSE Outlet Centre in Moscow will have a GLA of over 20,000 sqm and will be home to 132 brands. The leasing process is under its way and first tenants will be unveiled soon. In the meantime, FASHION HOUSE Group, a leading player in the European outlet sector, will take part in the XII International Real Estate Exhibition REX 2015, one of the most important retail events in Russia. On the G21 stand the FASHION HOUSE experts will be focusing on presenting detailed plans of the second phase of the Moscow project, as well as FASHION HOUSE St Petersburg, which will also enter the retail market next year. to share our unique expertise and portfolio, as well as connect with new business partners – added Brendon O’Reilly. Furthermore, on April 23, during the Conference at the XII International Real Estate Exhibition REX 2015, entitled “Commercial Real Estate: Restarting, Revaluating, Rebuilding”, Patrick Van Den Bossche, Managing Director of FASHION HOUSE Group, will participate in a panel discussion on “Commercial real estate: anticipated scenarios of segments development”. 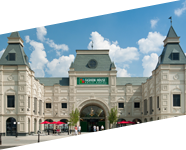 REX is the major Russian exhibition that is dedicated to commercial real estate professionals in Moscow. 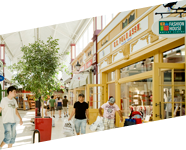 For over 12 years, it brings together shopping centre owners, developers, consulting and management companies with retailers who are looking for new business opportunities.